Sorry for the delay--the blame is on BLOGGER, not me. If you are on BLOGGER, you know that it's been down since last night around 10 pm. Yesterday's comments disappeared too. 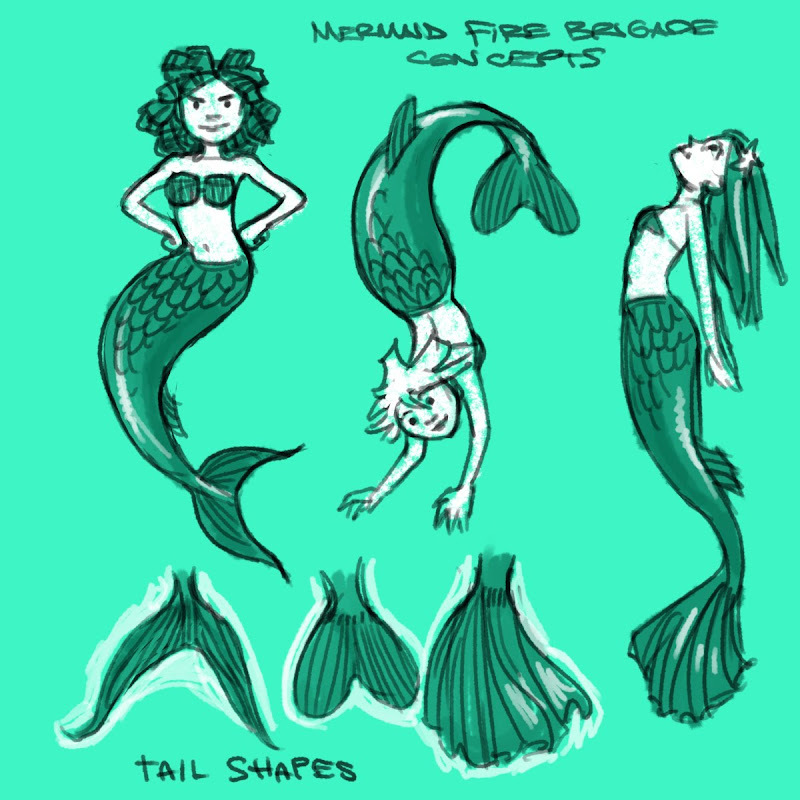 Anyway, here are some more mermaid concepts. Have a good weekend, the story will start next week. I love the third tail shape, it's bee-yootiful. Did you take inspiration from actual fish for the tail designs? l fish for EVERYTHING I draw. I knew it. I knew there was something fishy about your drawings.